Term Insurance is a product for risk coverage. In other words, it’s a product to mitigate risk for a term, generally a year. Now the question is – risk of what? Risk is everywhere and for everything in our whole existence. The essential risks that common people try to cover through insurance are: Risks related to Loss of Life; Health Issues; Loss of Assets like moveable or immoveable Property; Running Vehicle; Overseas Travel; and Trade. Of these, some of the insurances are compulsory in nature, and enforced by law, like in the case of Running Vehicle, Overseas Travel, and Foreign Trade. Here people have no choice and have to buy insurance without fail. In other cases, insurance is purchased due to self-awareness regarding health issues or loss of assets. Here, people are open to spending on insurance readily as they understand the risks well. Term Life Insurance predominantly mitigates the risk of loss of life. Typically, a person who is young and single, earning but not having dependents, life insurance probably isn’t a pressing concern. Term insurance is appropriate for someone who has dependents – a spouse, children or aging parents. The financial impact on the dependents can be expected to be devastating in case of death. 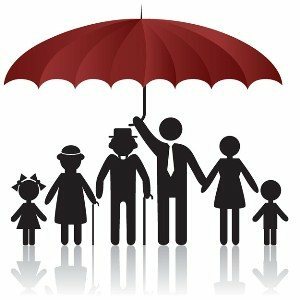 Term life insurance is perhaps the best way to financially protect the loved ones in the unforeseen and unfortunate event of premature death of the earning member. The loss of the person is irreplaceable, but the financial difficulties that may befall on the dependents can be mitigated by term Insurance. Term insurance helps solve the risks of future uncertainties. An unpaid home loan, higher education for children, and financial security for parents and/or spouse can be taken care of with a good term insurance policy . In short, even when the individual is not around, his or her family can have the needed financial support to function and sustain with dignity. In addition, with the option of term insurance with return of premium, a person gets the lump sum or annuity payback in case he survives the policy’s term. The best part is that term insurance plans cost lower than many of the other life insurance products. Per broad estimates one has to pay as little as 2 percent of annual income for a coverage 20 times more than the current annual income.